There are few places in South Africa, and the world, more beautiful than the Cape Peninsula. This slice of heaven is the perfect place to stay in a holiday home. Incredible natural beauty and brilliant attractions will ensure an unforgettable holiday experience. A holiday home in the Cape Peninsula offers you all the comforts of home while situating you in a place of incredible beauty. Waking up on your first full day of holiday is often the best bit of the whole experience – you have the whole holiday ahead of you, so make it even better by waking up in genuine comfort in a holiday home. The self-catered nature of a holiday home gives you the option of eating cheaply when you want, just like the locals do. Cape Point Nature Reserve is located at the tip of the Cape Peninsula, 60km south-west of Cape Town. Here, you will find all manner of animals wandering about, enjoying the weather. The eland is the largest type of antelope in the reserve, weighing up to 800kg, and it held a special place in the hearts of the San people who lived in the area before Dutch settlers arrived. You can also see the Cape mountain zebra if you’re lucky – they are quite shy and so will tend to stay away from people. Also in the area are chacma baboons and beautiful snakes like the puff adder. At the smaller end of the scale, you can see the angulate tortoise near the shore and the adorable Rooikat wild cat. There are also 250 different species of birds living in the reserve, so make sure that you bring your binoculars! Sheer cliff faces, thick vegetation, beautiful blue waters and much more is just waiting to be snapped by you. In this age of social media, everyone wants the best holiday photos, and you would be hard-pressed to beat the photo opportunities available in the Cape Peninsula. Videos are also a great way of documenting your experience, so make sure that you use quality video editing software. Biteable offers great software – you can download their free video maker. The area has some of the world’s most pristine beaches. Queen’s Beach is a relatively quiet beach with rock pools that hide all manner of sea creatures, including starfish. Danger Beach, named as such for its large waves, is a popular surfing location and offers warmer water due to it touching the Indian Ocean. For a wilder beach experience, Platboom (flat tree in Afrikaans) Beach is an unspoiled stretch of beach that boasts birds as well as the occasional ostrich or baboon. At False Bay, you can go cage diving with great white sharks, if you’re brave enough. Smitswinkel Bay is a beautiful picnic spot, and the waters boast five wrecks – perfect for diving and snorkeling trips. 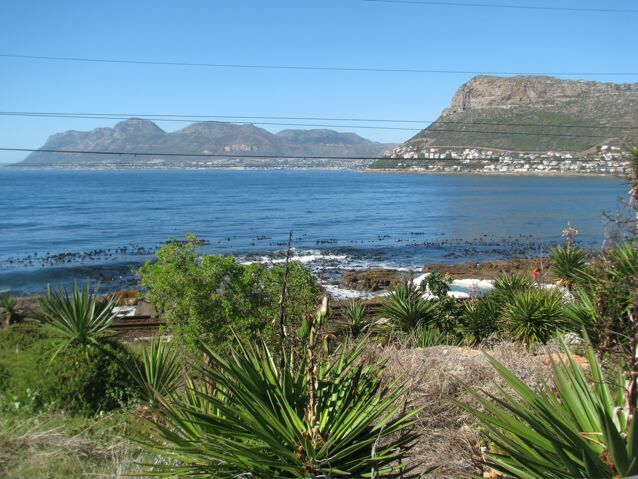 The Cape Peninsula offers so much, whether you stay in a holiday home or any accommodation you choose. The comforts of a holiday home allow you to concentrate on and appreciate the beauty of the local area without spending too much. This entry was posted in General information, Places to visit. Bookmark the permalink.